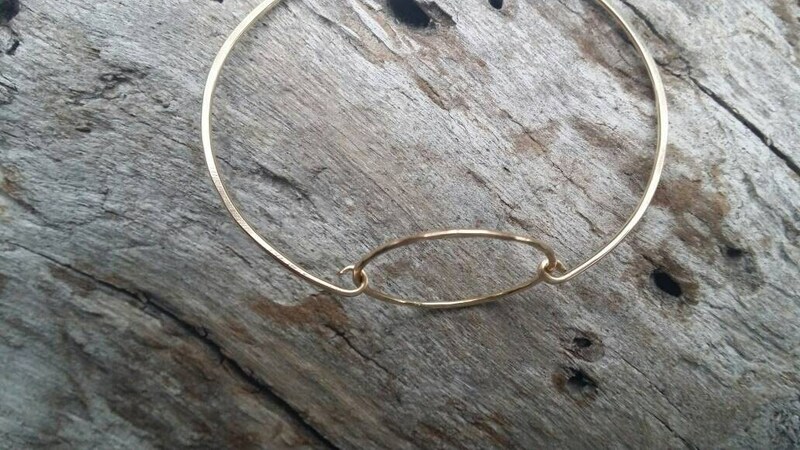 These beautiful stacking bracelets are handmade either sterling silver or 16K gold fill wire. 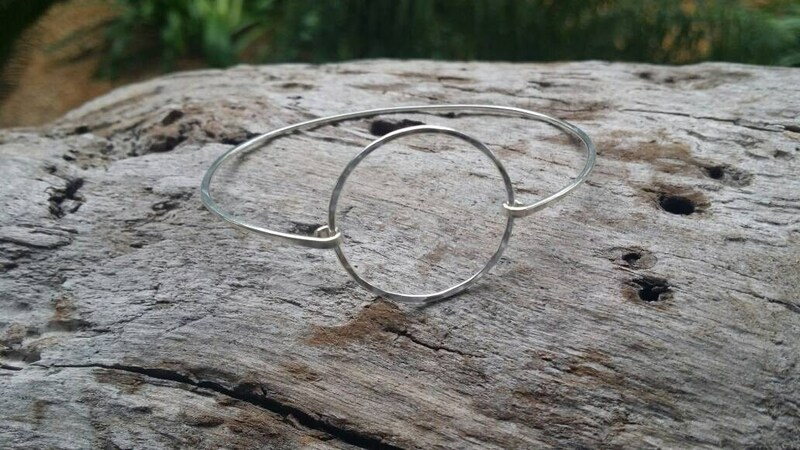 The wire is very thick and hammered into a simple circle with an attached bracelet that opens and closes on one side for a better fit. 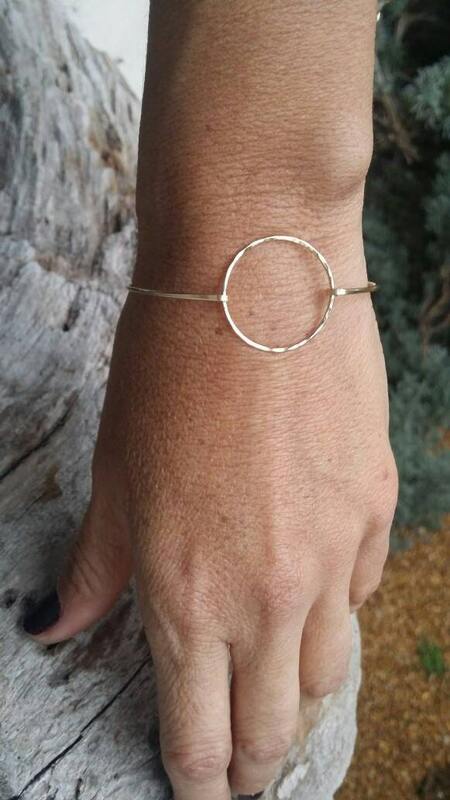 The band is molded into a nice oval shape to keep it from spinning around your wrist. 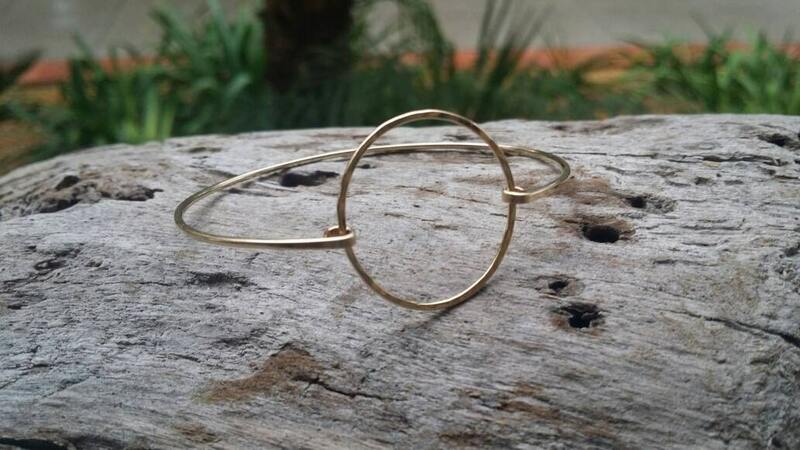 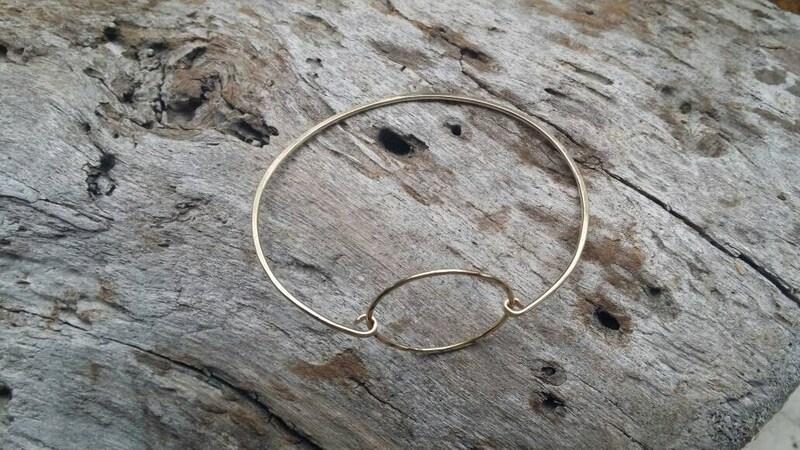 Once clasped with the beautiful hook closure, this bangle will not spin, keeping the circle detail in front.